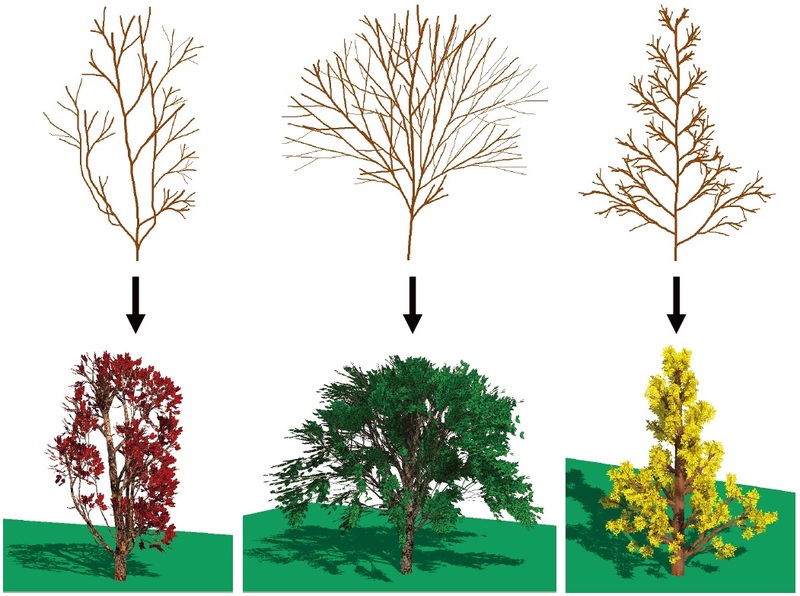 Simple 2D sketches of botanical trees (above) and 3D polygon models, which are a red young tree, a zelkova, and a maidenhair tree (below). 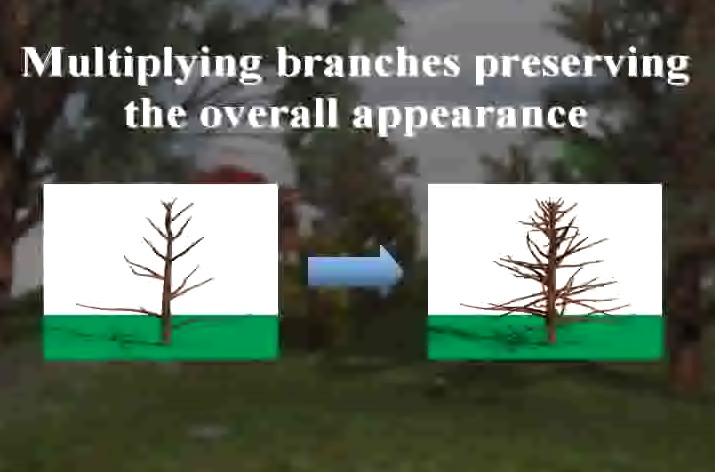 The initial 3D trees were created from the 2D sketches automatically using our algorithm. Additional branches and leaves were then attached to the trees using our prototype system. Each process took several minutes. 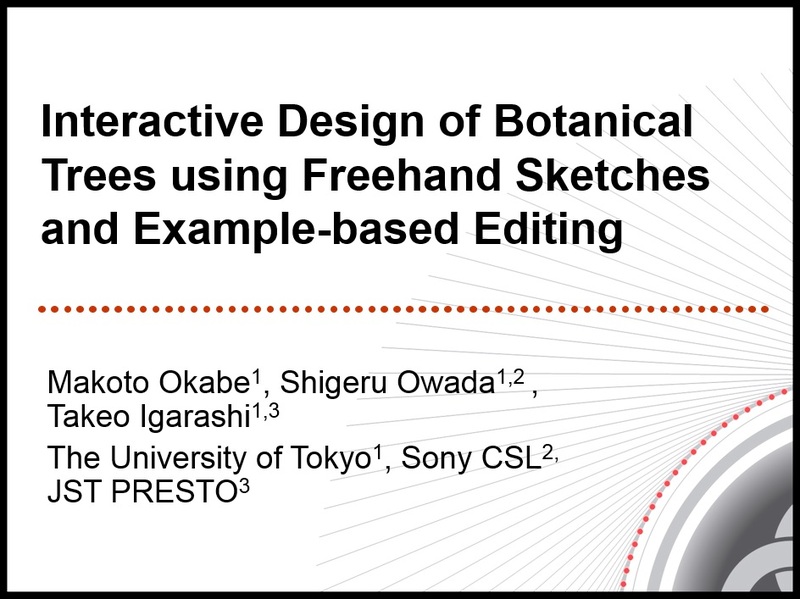 We present a system for quickly and easily designing three-dimensional (3D) models of botanical trees using freehand sketches and additional example-based editing operations. The system generates a 3D geometry from a two dimensional (2D) sketch using the assumption that trees spread their branches so that the distances between the branches are as large as possible. The user can apply additional gesture-based editing operations such as adding, cutting, and erasing branches. Our system also supports example-based editing modes in which many branches and leaves are generated by using a manually designed tree as an example. User experience demonstrates that our interface lets novices design a variety of reasonably natural-looking trees interactively and quickly. 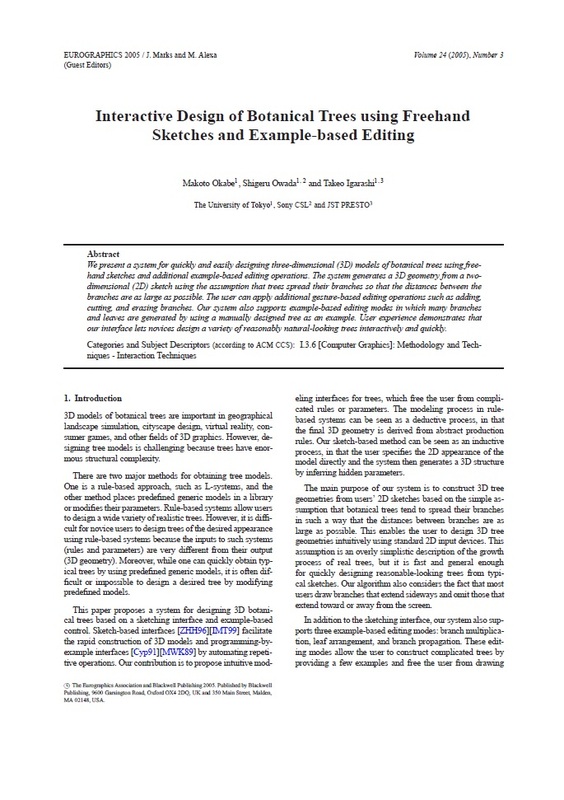 Makoto Okabe, Shigeru Owada, Takeo Igarashi, "Interactive Design of Botanical Trees Using Freehand Sketches and Example-based Editing", Computer Graphics Forum (proceedings of Eurographics 2005), volume 24, issue 3, pp. 487-496.